BUILT IN AMERICA WITH PRIDE BY THE BOX STOCK PROJECT INC.
212cc BSP Race Ready Engine includes the following: BSP 212cc engine with JT Cylinder head, Max Stroke Crankshaft "2.163 - 2.173", BSP block with T6 Treated piston and Performance Cast Rod, 10.8# Performance valve springs, NEW BSP-4 Race Cam Or your choice), Big Bertha aluminum chain guard, ARC billet aluminum flywheel or optional Speedway Billet Flywheel, BSP black aluminum top plate, BSP aluminum filter adapter, BSP filter & cover sock, Walbro fuel pump, BSP Race CNC'd Carburetor (.615), double reinforced blower housing tabs valve cover with pulse fitting installed, fuel line and throttle kit consisting of cable, cover, fuel filter, and clevis pin. All gaskets for the engine are included. Your new BSP Race engine has been Dyno tested. Valve lash is set on both valves. Running lift has been set. Engine has been cc'd. All internal/external bolts are torqued to the correct specs. 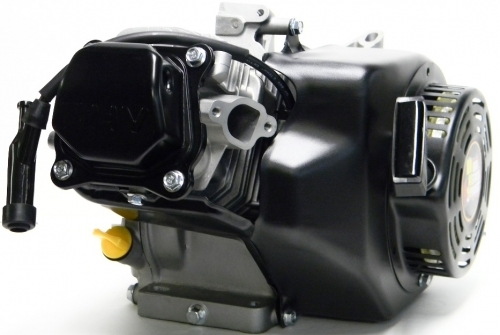 NOTE: Now available in BSP Black Out Engine where all metal work comes in black. (You may choose a header with this kit or purchase the engine only. The large header in the picture does not come with it unless you choose that option.) Used for competition racing purposes only. If you have questions or don't see what you want give us a call at 386-938-4211.